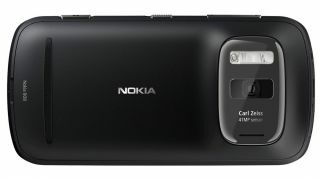 The Nokia 808 Pureview will make it to the US after all, as the Finnish manufacturer reveals its American intentions for the handset. Nokia had originally said it had no plans to launch the 808 Pureview stateside, but last week we reported that the company was trying to "figure out a way" to bring the Pureview to North America. And a way has been worked out, as the Finnish firm reports that due to consumer interest, it will be taking the handset across the Atlantic. The 808 Pureview will be available SIM-free through Amazon for $699, and will work with SIM cards from T-Mobile and AT&T – although oddly it states the handset will only support 2G speeds on the T-Mobile network. The 808 Pureview was unveiled at MWC 2012 and shocked us when it turned out to be packing a ridiculous 41MP camera. Nokia has overlooked the Windows Phone platform for the Pureview, opting to run Symbian Belle on the handset instead, which may well put some people off as Nokia is set to ditch this software in the near future. There's no word on exactly when the Nokia 808 Pureview will be released in the US, but pre-orders for the handset will start on Amazon this week.